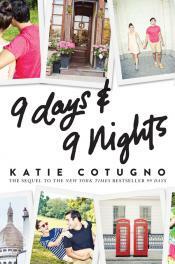 In this sequel to 99 Days, Molly Barlow finds herself in Europe on her summer vacation, desperately trying to forget everything that happened a year ago. But over the course of nine days and nine nights, her whole life will be turned upside down once more. This entry was posted in New Young Adult Books on August 15, 2018 by msbpl.